We have very cool update for you! starting today you will be able to change your final value fee for each category according to what you pay! To change or edit your final value fee please go to your global settings and click on edit FVF under the eBay value fee. Choose the category you want to update and click "Apply". Don't forget to hit the Save button on the bottom of the page. 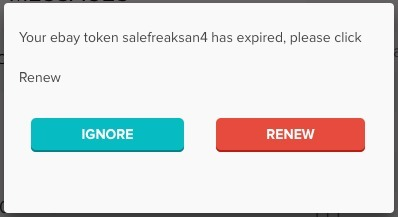 Starting today you will get notified a day before your token will be expired, and once expired, to make sure no connection between your stores and your SaleFreaks account is lost. 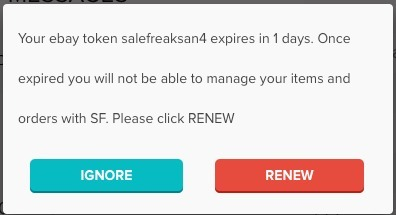 Once the token is expired you will not be able to manage your items or orders. Many great features are yet to come!